Automobile Club de Monaco promised, and then delivered – the 2014 edition of arguably the most famous rally in the world will once again be based in Hautes-Alpes region, with city of Gap acting as the remote rally HQ. In an effort to bring back much of the classic flavour, organizers also decided to include some of the most famous stages into 2014 itinerary, so next year crews will have a brand new challenge on their hands, set on some of the oldest and best known stages in the region. How about two runs through 49+ kilometer Vitrolles – Faye stage, or Sisteron test at night? Of course, the infamous Col de Turini retains it’s spot in the schedule, while the event will once again officially begin with the start ceremony at the Casino Square in Monte Carlo. Read on for detailed description of all changes, planned for 2014 Rallye Monte Carlo. Could this be the year for World Rally Blog, to finally appear once again on the WRC scene? After 10 years, I think it’s about time! The beginning of the competition will start on Thursday, January 16 with a first loop of three special stages and not the least: Orpierre – Saint André de Rosans (25.53 km), Rosans – Sainte Marie – La Charce (18.00 km) and Montauban sur l’Ouvèze – Col du Perty – Laborel (19.37 km). Competitors will run the same loop, once again in the afternoon after a stop, at mid-day, at the Service Park located near Gap’s nautical stadium. 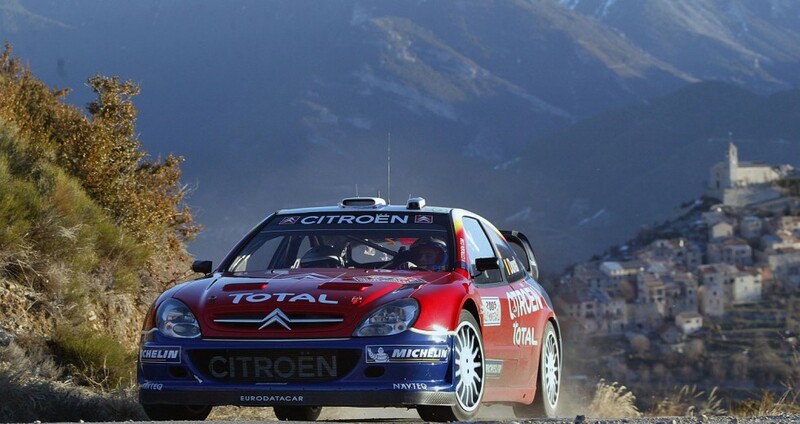 The second day, Friday, January 17, will begin with two legendary “classics” of the Rallye Monte-Carlo: Vitrolles – Col D’Espreaux – Faye (49.25 km) and Selonnet – Col des Garcinets – Breziers (22.75 km). Ten years ago, these two stages eliminated many contenders for the final victory as the road conditions were extreme! At mid-day, the competitors will return one last time to the Service Park before heading south for a well-earned return in the Principality of Monaco. To arrive there, they will have to overcome, for the second time, the challenge of Vitrolles – Col D’Espreaux – Faye (49.25 km), pass by Sisteron – Col de Fontbelle – Thoard (36.70 km) and finally dispute Digne – Col de Corobin – Chaudon Norante (19.60 km) by night! The final leg, on Saturday, January 18, will allow the competitors to discover the hinterland of Nice, with two loops of two stages, one by day and the other by night. The program for this final stage is: La Bollène Vésubie – Col de Turini – Moulinet (23.61 km) and the unprecedented Sospel – Col de Brouis – Breil sur Roya (16.69 km). The 82nd Rallye Monte Carlo will end on Sunday, January 19 with the traditional awards ceremony on the square of the Prince’s Palace in Monaco. * Subject to registration by the FIA​​ in the 2014 World Rally Championship calendar. Next story Video: Tommi Makinen, episode two, beeps, smiles, mystery! Previous story How prepared is Hyundai going to be in 2014?